SINSINAWA, Wis.—Sinsinawa Mound is offering an evening focused on exploring the well-known and little-known complexities of hydraulic fracturing through firsthand experience, investigative journalism, storytelling and verse. 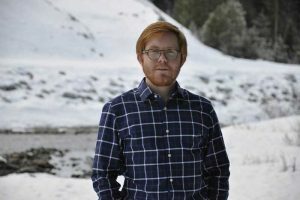 Drawing from his book, “Fracture: Essays, Poems, and Stories on Fracking in America,” Editor Taylor Brorby will be present to read excerpts and lead discussion at 7 p.m. Tuesday, May 10. Many of our nation’s best environmental minds are gathered together in this book and bear witness to fracking in the United States. Copies of “Fracture” are available at Sinsinawa Book and Gift Gallery and will be available for purchase at this free event. For more information, contact Eric Anglada, coordinator, ecological programming at Sinsinawa Mound, ateric.anglada@gmail.com or 563-845-0780 or visit our website at www.sinsinawa.org. Sinsinawa Mound, the Motherhouse for the Sinsinawa Dominican Sisters, is located in southwest Wisconsin on County Road Z, off Highway 11, about five miles northeast of Dubuque.